It’s a great opportunity to showcase the interesting and local organic food we sell, and to show off our delicious café breakfasts at the same time! Breakfast is a gentle way in to make small lifestyle changes, so it’s a lovely non-threatening, non-preachy way to get people engaged. A lot of social media engagement, a focused way to speak to customers and to talk to passers-by who may not have ventured in previously. We had breakfast displays and samples at all three stores. 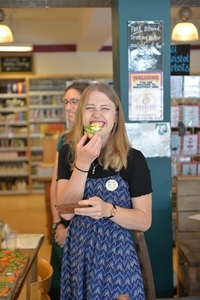 We showcased organic, local granola, yogurt, eggs and bread. Each display was manned by a member of staff, armed with leaflets, information about the products and recipe cards (these were particularly popular). We tied the products we used in to special offers in store to encourage people to buy and try for themselves. We also had free coffees on offer for customers who decided to stay for a full café breakfast. 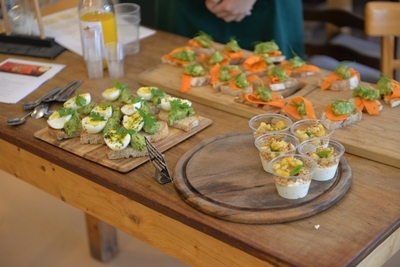 For the tasters, we made: granola and yogurt pots, carrot lox and avocado on toast (a kind of salmon-looking vegan dish), egg and avocado on toast. Obviously the avocados weren’t local! Yes! 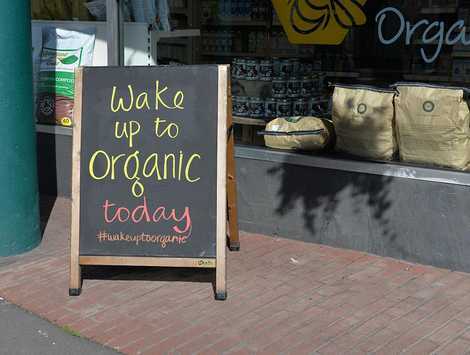 Though at our Whiteladies Road and St Werburghs stores, we probably didn’t get new people through the door, we did engage in some interesting conversations and it was a good vehicle to talk about why organic is important. At Wapping Wharf we set up outside the store and spoke to passers-by, many of whom didn’t realise we were an organic store. We also had visits from several prominent local bloggers and social media influencers, which was great – it was a beautiful sunny morning so very photogenic. We were visited by Laura Rawlings from BBC Radio Bristol, Igers Bristol, who have over 19k followers and Jess Siggers, who has over 40k followers. We were lucky enough to be featured in an article in Bristol 247 magazine. We also marketed it through our newsletter (print and email) and through our social media networks. We do, definitely. We’ll build on what we did last year and pray for another sunny day!